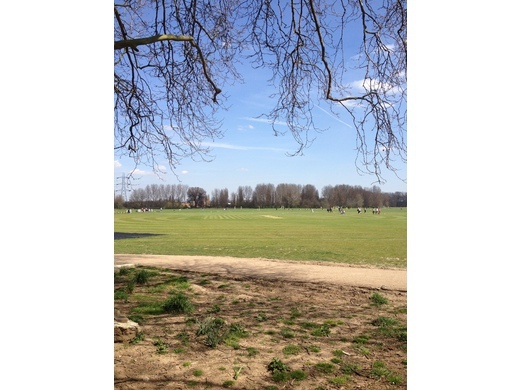 The North East London Community Cricket League plays matches on Saturday afternoons in the best parks in Hackney. In 2019 we welcome two new sides: St Clements CC and Canary Wharf CC. The standard is reasonable but this is not club cricket - it is more pub than club standard. In accordance with this, the games are played in a friendly spirit. Teams want to win, but not at the cost of cheating. The way the league is organised means that we have found it easiest to book pitches centrally, generally Hackney Council's pitches at Springfield Park (Upper Clapton Road), London Fields (Mare Street) and Millfields (Chatsworth Road/Lea Bridge Road). This means that each team pays the league rather than for its own pitches. Depending on how many teams there are in a given, and whether or not Hackney Council offer any support, the fees will be approx £500 for a 10 game league season. This includes the cost of two league balls per match. The league runs from the end of April to the around the end of September, so we need to have a reasonable commitment field a team for the whole summer - we have had interest from students who were not able to commit to the second half of the season before. The league also requires that its teams have public liability insurance. Hackney Council (and other venues) have demanded this, and without it we can't get the bookings. Teams have managed to secure this for very reasonable rates..
We require all member clubs to be affiliated to the Middlesex (or other appropriate) County Cricket Board. This costs very little. The number of fixtures is completely dependent on how many teams want to join/have joined. The league is currently chaired on rotation. Guy Shennan of the Camel CC is current chair. Ben Hayward (Bloomsbury Royals) is league treasurer. Finally, we are looking to expand and include as many teams as possible, so interest is welcome. If you are interested, given the above, please get in touch via the Contacts page and we'll get back to you on what to do next.